This exhibit was curated by Eva Lau. Herbert Spencer Clark was born to John Clark and Esther Louisa Alexander in 1903 as their second-last child of five. In 1924, Spencer graduated from the University of Toronto with a degree in Engineering, and pursued a career in the field for some years. Most notably, Spencer was a secretary of the Robert Owen Foundation, and is the co-founder of the Guild of All Arts with his wife Rosa Breithaupt. 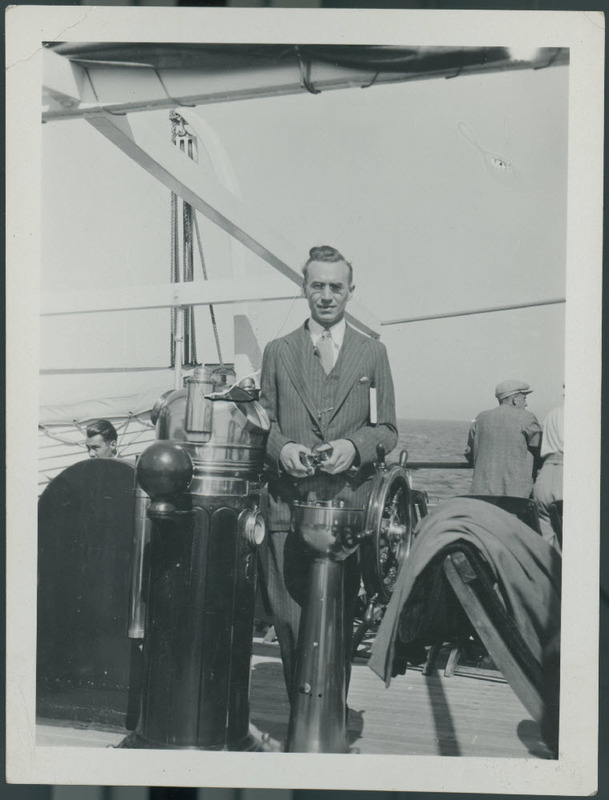 In the summer of 1931, Spencer went on a trip across Europe as a part of a group study tour led by Dr. Sherwood Eddy. Between July 25th and August 9th, Spencer visited various locations of the Union of Soviet Socialist Republics (i.e. USSR, or Soviet Union) to examine first hand the economic and social conditions of the nation, as well as the effects of the revolution. Spencer stayed in the cities of Leningrad, Moscow, and Tambov, and visited factories, communes, palaces, cathedrals, as well as peasant farm villages as a part of the tour. Through Spencer's travel diary, scrapbook, correspondence, and newspaper clippings, it is evident that he was greatly impressed by the Soviet Union. Spencer spoke highly of what he saw to be successful social experiments in communal living, collectivization, and the overall attitude of cooperation. Seeing the Soviet government as the driver of positive change, Spencer was also full of praise and admiration for the country's leading figures. In many instances however, Spencer's accounts dramatically differ what is commonly accepted to be the mainstream historical narrative. Harry Byers for example, had a vastly different experience. Yet, while Spencer's understanding should not be regarded as indicative of the typical Soviet, it is nonetheless a fascinating account of the nation's successes in the eyes of a foreigner on a guided tour. Upon returning to Canada, Spencer became a much in-demand lecturer and interviewee on the economic and social conditions of the Soviet Union. His experiences were featured in a number of newspaper articles, and he went on to publish a piece in The Canadian Student, a monthly periodical. Often, Spencer urged his audiences to put aside their preconceived notions of the Soviet Union, before sharing with them his personal experiences and impressions of the nation. Special Collections & Archives houses the Breithaupt Hewetson Clark collection, donated to the University of Waterloo in 1988 by the family of the late Rosa Breithaupt Hewetson Clark and Spencer Clark.